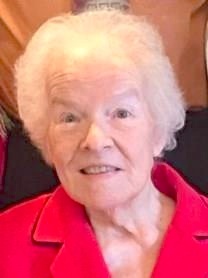 Marian Lee Comfort, 84, of Olathe, KS, went home to be with her Lord and Savior on Thursday, October 13, 2016 from Alzheimer’s disease. Funeral services will be 11am, Tuesday, October 18th at College Church of the Nazarene, 2020 Sheridan, Olathe, KS with burial following in Oak Lawn Memorial Gardens, Olathe, KS. Visitation will be from 10-11am, prior to the service. In lieu of flowers, memorial contributions may be made to College Church of the Nazarene Compassionate Ministries. Marian was born to Leonard and Goldie (Penn) Seal on December 11, 1931 in St. Louis, MO. Marian graduated from Ferguson High School and received her education teaching degree from Harris Teachers College in St. Louis, MO. Marian married Jim Comfort, the love of her life, in 1959 while teaching one through third grades in the St. Louis School system. They eventually moved to Kansas City, MO in 1966 where Marian continued her teaching career for 30 years in the Hickman Mills School District. Marian loved her role as a loving mother and wife, raising three children in Grandview, MO. Marian was a strong Christian lady who loved her church, working as a Sunday School teacher and young people’s leader. She was preceded in death by her parents and sister, Carolyn Strayhorn. Mrs. Comfort is survived by her beloved husband of 57 years, Jim; daughters, Beth Ann Sikes of Overland Park, KS and Jayne Lee (Michael) Anderson of Sterling, CO; son, James D. (Terri) Comfort of Maple Grove, MN and sister Shirley (Jay) Arledge. Also left to cherish her memory her 7 grandchildren and 2 great grandchildren.